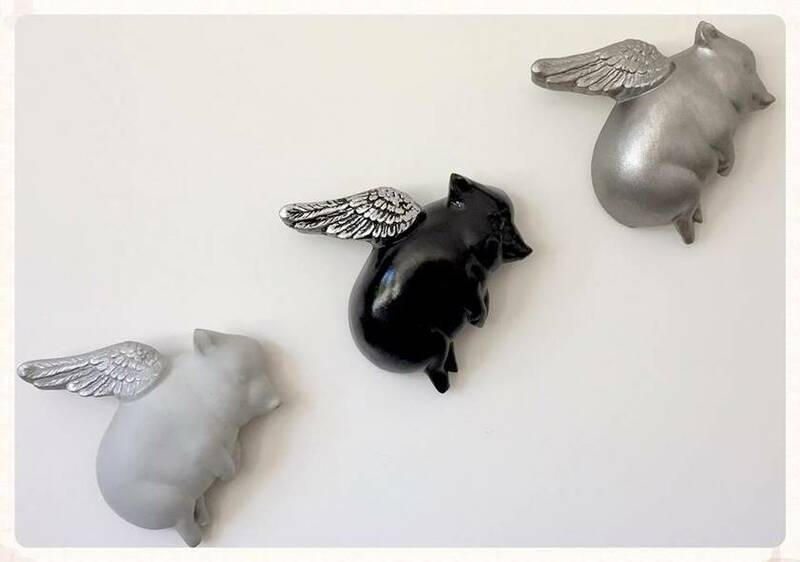 A mix n match set of 3 Flying Pig wall hangings in Black with Silver, Silver & Concrete with Silver. The Silver & Black pigs are cast out of a plaster/fibre glass blend then hand painted. The Concrete pig is cast out of cement concrete with hand painted wings. These pigs are sealed so they can be hung outside. Piggies measure approximately 15cm wing tip to foot & wing tip to nose. They have a triangle D-ring hook screwed on the back for easy hanging.